How do I embed a JOT form into my Weebly document?? 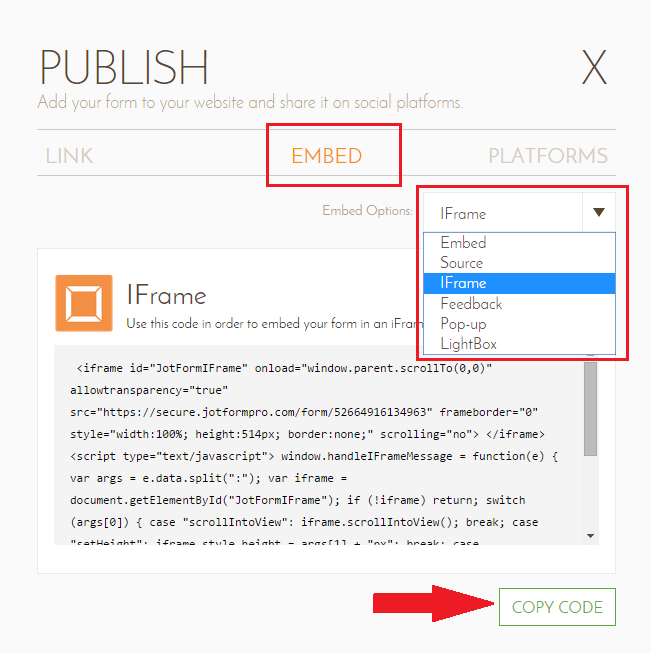 In the PUBLISH window select the EMBED tab and select the iFrame option. You will see the code display in the window. Just press the COPY CODE. For detail explanation, please review our user guide, Adding a Form to Weebly. Please try the new JotForm App for Weebly. It helps you add and create forms directly from Weebly. It would be great if you could tell us what you think of the App. Feel free to comment on the blog post above; we value your feedback.